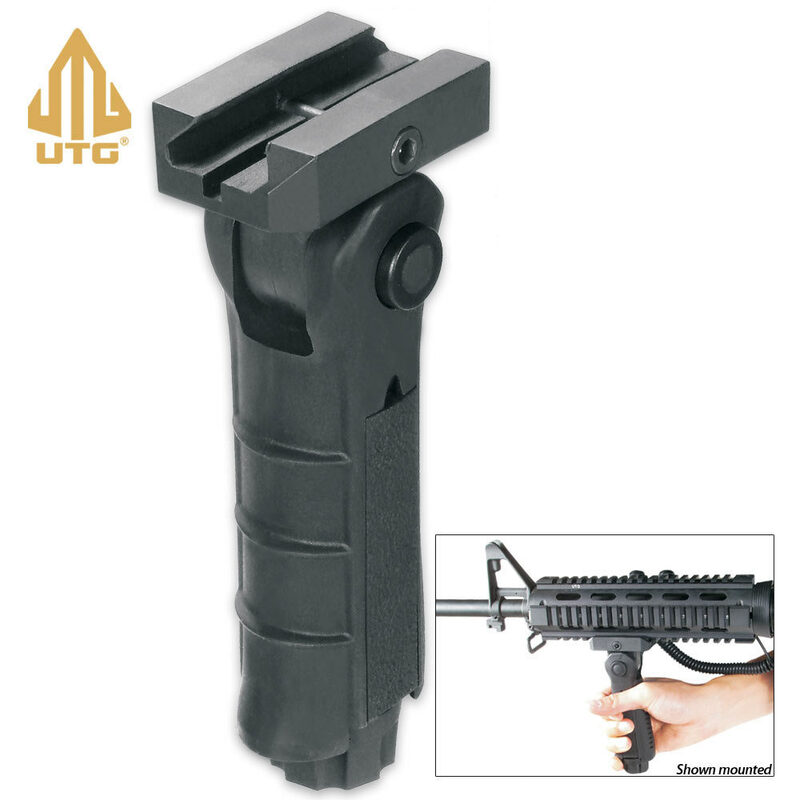 UTG Tactical Foldable Foregrip Black | BUDK.com - Knives & Swords At The Lowest Prices! Whether you shoot with your right or left hand, UTG Foldable Tactical Foregrip is the only foregrip you&apos;ll need for your weapon. It features five adjustable foregrip positions for that perfect grip. wasn't expecting the best. There were two one was more expensive and I couldn't spend that right now. Well let me tell you something, this thing is amazing. So much easier to aim with it, very comfortable, cool design,and tough, You can also twist the bottom off and stash money, batteries for scope, anything really that can fit. Target shooting lets just say I shoot great already but it made a big difference.